The principal regulatory body in the field of civil aviation in India is the Directorate General of Civil Aviation (DGCA), led by the Director General under the supervision of the Ministry of Civil Aviation (MoCA). The DGCA is responsible for air transport regulation, air safety and airworthiness. It issues licences to aerodromes and air carriers; monitors licensing of personnel (pilots, aircraft maintenance engineers, etc) and flight crew standards; renders advice to the government of India on bilateral air services agreements and technical matters relating to civil aviation; investigates air accidents and incidents; and provides technical assistance to the courts and committees of inquiry. The DGCA coordinates regulatory functions with the ICAO. It oversees regulation of air transport, airworthiness, air safety, training and licensing, aerodrome standards, flight training, flight inspection, research and development. The DGCA issues civil aviation requirements (CARs), air transport advisory circulars (ATACs), aeronautical information circulars (AICs) and other circulars, which are binding upon carriers and in some cases other parties involved (such as travel agents) under the provisions of Rule 133A of the Aircraft Rules of 1937 (updated in 2018). There are 14 regional airworthiness offices and five regional air safety offices of the DGCA. the Airports Economic Regulatory Authority of India Act of 2008. Matters pertaining to aviation fall under the MoCA and its connected organisations: the DGCA, the Bureau of Civil Aviation Security (BCAS), the Airports Authority of India (AAI) and the Airports Economic Regulatory Authority of India (AERA), etc. The MoCA is the ministry responsible for policy formulation and regulation of civil aviation in India. The BCAS regulates civil aviation security in India. It lays down standards and measures for security of civil flights at international and domestic airports. Under the Airports Authority of India Act of 1994, the AAI was entrusted with the responsibility of creating, upgrading, maintaining and managing civil aviation infrastructure. The AAI is charged with construction, modification and management of passenger terminals, development and management of cargo terminals, development and maintenance of apron infrastructure including runways, taxiways, etc, provisions for communication, navigation and surveillance, air traffic services, passenger facilities and related amenities. The AERA was constituted under the Airports Economic Regulatory Authority of India Act of 2008 and established in 2009. The AERA determines tariffs for aeronautical services, the amount of development fees in respect of major airports and passenger service fees, and monitors standards relating to quality, continuity and reliability of services, etc. Since its establishment in 2009, the AERA has decided tariffs, charges for aeronautical services and has issued appropriate directions under the Act periodically. The DGCA is responsible for the safety regulation of civil aviation and is recognised in the Aircraft Act of 1934 and the Aircraft Rules of 1937 as the relevant regulatory authority for civil aviation. Section 4A of the Aircraft Act of 1934 empowers the Director General or any other officer specially empowered to perform safety oversight functions in respect of matters specified in the Act or the Rules. The Director General also has special powers pursuant to section 5A of the Act to issue directions. The DGCA prescribes the necessary safety requirements and is responsible for their oversight. The Aircraft Rules of 1937 in Part III deal with general safety conditions, and under Rule 133A, the Director General can issue CARs relating to the operation, use, possession, maintenance or navigation of aircraft flying in or over India or of aircraft registered in India. The DGCA is also responsible for the safety oversight of foreign aircraft operating in India. The Aircraft Rules of 1937 contain conditions for operators, crews, airworthiness, flights, etc. The DGCA does not grant a carrier an operating permit (licence) until the carrier or the operator has had its safety manual approved with appropriate trained personnel available for safety purposes and an appropriate insurance policy in place for crew, passengers and property to be transported by air. Each aircraft receives a certificate of airworthiness and the DGCA regulates air safety in conjunction with the BCAS. Although the two regulators function under the MoCA, they are housed at different locations in Delhi and operate fairly independently. India follows the ICAO guidelines on safety and has a state safety programme under the Chicago Convention (ICAO 9859). The safety rules have been increasingly revised and refined from 1980 and are now updated quite regularly. In 2011, the Aircraft Rules were amended to ensure that all aircraft operators and aerodrome operators, air traffic service providers, the personnel involved in training, aviation personnel, etc, were mandatorily required to establish and maintain a safety management system (SMS) and SMS manual. The rules now provide for the DGCA’s officers to monitor and inspect not only the SMS but also its implementation. There is a CAR dated 27 July 2017 on the establishment of a Safety Management System. This CAR specifies the minimum acceptable requirements for the establishment of SMS by a service provider. An old 1996 CAR (revised 17 March 2009) on ‘Flight Safety Awareness and Accident/Incident Prevention Programme’ requires all operators to prepare a flight safety manual and obtain approval from the Director of Air Safety of the DGCA. This CAR further provides that the flight safety manual shall clearly lay down the company’s safety policies, flight safety awareness and accident and incident prevention programme. Appendix A to the CAR contains ‘Guidance Material for Preparation of Flight Safety Manual’. The ICAO places responsibility on contracting states to formulate a state safety programme (SSP). The SSP is an integrated set of regulations and activities aimed at improving safety. The SSP provides the means to combine prescriptive and performance-based approaches to safety rule-making, policy development and oversight by the DGCA in India. To manage the SSP and ensure implementation of requirements of SMSs, an SSP and SMS Division was established in the DGCA in 2010. After introduction of the SSP and SMS, a regulatory framework was also established. The Safety Management Systems are established in terms of Rule 29D of the Aircraft Rules of 1937. The SSP finds mention in the National Civil Aviation Policy of 2016. The DGCA, through relevant officers, carries out station facility inspection, cockpit en-route inspection, cabin inspection, air operator pilot proficiency checks, main base inspection and air operator ramp inspection apart from checking the airworthiness of each aircraft. Various statutory and regulatory provisions beginning with the Aircraft Act of 1934, the Aircraft Rules of 1937, CARs, ATACs and AICs stipulate the safety and operational requirements applicable to different types of operations. CARs are divided into 11 sections. Section 5 of the CARs issued by the DGCA deals with air safety. All flight crew members are now required to necessarily undergo periodic refresher and flight safety courses as stipulated. Aircraft operators are required to have trained and qualified, DGCA-approved, load and trim sheet personnel at each airport for the type of aircraft operated. All crew members, cargo handling personnel, etc, must be DGCA-approved before they receive BCAS airport entry permits. If the operator intends to employ foreign pilots and engineers for a specified period, specific approval of the competent authority must be obtained. Every operator must have a chief of flight safety approved by the DGCA for ensuring compliance of all operational requirements and responsible for implementation of policies laid down in the Flight Safety Manual and all other safety measures required by law. All operators are also required to have a safety audit team. The DGCA has safety audit teams to carry out safety audits of the operators periodically. In April 2015, India’s aviation rating was elevated by the FAA back to ICAO category 1 standards. India took corrective action to address the FAA’s concerns after the US regulator’s downgrade that had cited a lack of safety oversight. India had an excellent prior record with an uninterrupted category 1 rating from 1997 to 2014. The AAI also has its own Directorate of Aviation Safety, which monitors aerodrome and air navigation operations. It detects safety hazards and points them out to the concerned directorates; assists all the directorates with establishing their SMS; coordinates safety matters of the AAI with the DGCA, ICAO and other stakeholders; promotes the safety of aerodromes and air navigation services; presents safety reports to the Safety Review Board and implements the directions given by it and effective safety programmes. Rule 134A of the Aircraft Rules of 1937 provides that for operation of an air transport service (other than a scheduled air transport service) by an air transport undertaking located outside India, special permission from the central government is required. A non-scheduled operator’s permit granted by the central government is required for operation of an air transport service (other than a scheduled air transport service) by an Indian air transport undertaking. A non-scheduled operator’s permit is valid for five years and may be renewed for another five years upon application. Rule 3(49) defines a ‘scheduled air transport service’ as an ‘air transport service undertaken between the same two or more places and operated according to a published timetable or with flights so regular or frequent that they constitute a recognisably systematic series, each flight being open to use by members of the public’. This definition results in the distinction between scheduled and non-scheduled air transport service. Rule 134B of the Aircraft Rules of 1937 provides that no operator shall undertake any aerial work unless it holds a valid non-scheduled operator’s permit granted under sub-rule (2) of Rule 134A. Aerial work is defined in Rule 3(1A) as ‘any aircraft operation undertaken for an industrial or commercial purpose or any other remunerative purpose, but does not include operation of an air transport service’. Rule 140 lists the minimum requirements to be complied with by operators and provides that ‘all aircraft owners and operators shall comply with the engineering, inspection and manual requirements contained in Part XIII-A and with the safety requirements in respect of air routes, aircraft and air crew, as may be specified by the Director-General’. As the above Rules are made equally applicable, it would appear that no distinction is made between scheduled and non-scheduled operations or in aerial work in respect of applicable safety regulations. There is a CAR dated 25 November 2014 (revised on 4 September 2017) on the ‘Issue/Validation and Suspension of Certificate of Airworthiness’, which relates to issuance of a certificate of airworthiness and contains reference to the application procedure, documentation and other conditions. Access to the market for the provision of air transport services is regulated under Parts XIIB and XIII of the Aircraft Rules of 1937. Rule 134 introduces requirements for an operating permit to be issued by the central government in relation to a scheduled air transport service from, to, in or across India. Similarly, under Rule 134A(4), an application may be made for grant of a non-scheduled operator’s permit valid for up to five years. Access to the Indian market may be considered regulated by reference to the provisions of Schedule XI to the Aircraft Rules setting out the requirements for operating a scheduled air transport service. These provisions confer some degree of discretion on the DGCA, but also contain rigorous disclosure requirements that must be met in terms of experience and financial resources, satisfactory equipment, organisational strength, staffing arrangements, general competence based on track record, ability to meet liabilities arising from loss or damage to persons or property, existing or potential need or demand for the relevant service, adequacy of other air transport services and the possibility of wasteful duplication or material diversion of traffic, capital or other expenditure involved and objections or representations made (by any person including a third party). The permit follows a recommendation from the civil aviation authority of the international airline’s home country recommending the operator in accordance with a bilateral agreement between the two governments. Clarifications are provided by this authority. The bilateral agreement (or air services agreement) finds reference in Rule 134(2). The permit itself does not generally contain conditions, but the application sets out the operator’s intended frequencies. The DGCA issued a CAR on 1 March 1994 (updated several times up to 6 December 2017), which sets out minimum requirements for grant of a permit to operate a scheduled passenger air transport service. The relevant CAR specifies minimum capitalisation, requirement of a minimum number of aircraft, maintenance engineers, flight crew and cabin crew requirements, etc, and also refers to various approvals needed before an initial no objection certificate is granted, actions to be completed before acquisition of aircraft and airworthiness requirements, operational requirements, etc. As per the applicable CAR, full equity as required shall be available with the company even at the initial stage so as to demonstrate commitment. The CAR expressly provides that the requirements are complimentary to ICAO Annex 6, Part I. As explained in question 5, foreign equity participation of up to 49 per cent is permitted to be made by a foreign airline. There is also Circular AIC No. 12/2013, dated 1 October 2013, which, in paragraph 3, lists the policy for foreign direct investment (FDI) in the civil aviation sector. The Union Budget 2016-17 has permitted 100 per cent FDI in India-based airlines. However, a foreign carrier can only own up to a 49 per cent stake in the venture, and the rest can come from private investors including those based overseas. To boost airport development and modernisation, 100 per cent FDI in existing airport projects has been allowed without government permission. The move comes close on the heels of the civil aviation policy that has relaxed norms for domestic carriers to fly abroad. It is possible to see some of the CAR requirements and the discretion granted to the DGCA with regard to the above-mentioned factors operating as non-tariff barriers that could limit access to the market, but India has not made specific World Trade Organization commitments for air transport services and there are no known reports of limited access due to these factors or discriminatory treatment arising from the exercise of discretion in this regard, even though some measure of protectionism is inherent in the continued state ownership of the national carrier; however, Air India disinvestment is now being actively considered. The nationality requirements mentioned in question 5 are also relevant here, as is question 7, covering the procedures for deciding applications (these applications are now decided by a standing committee on behalf of the DGCA). its substantial ownership and effective control is vested in Indian nationals. Schedule XI to the Aircraft Rules of 1937 pertains to the ‘Grant of permission to operate Schedule Air Transport Services’. A similar CAR dated 1 June 2010 contains the requirements for a non-scheduled operator’s permit. 200 million rupees for airlines operating aircraft with a take-off mass not exceeding 40,000kg (up to five aircraft) and for each addition of up to five aircraft, additional equity investment of 100 million rupees. The FDI policy of the government of India permits foreign investment of up to 49 per cent under the ‘automatic route’ for scheduled air transport service or domestic scheduled passenger airline and regional air transport service. It was decided to raise this limit to 100 per cent, with FDI of up to 49 per cent permitted under automatic route and FDI beyond 49 per cent through government approval. The DGCA has regulated non-scheduled air transport services through another CAR, dated 1 June 2010 (revised on 31 August 2017) setting out the same minimum nationality requirements as listed above. Guidelines in the (2017 amended) CAR permit FDI of up to 74 per cent, but again the majority of directors on the board are required to be Indian citizens and if the positions of chairperson, managing director, CEO or CFO are held by foreign nationals they must be security vetted by the Ministry of Home Affairs. As explained, Rules 134 and 134A of the Aircraft Rules of 1937 provide that permission of the central government is required to operate scheduled and non-scheduled air transport services. Rule 134B also requires a valid non-scheduled operator’s permit for any aerial work. Application fees are prescribed for scheduled and non-scheduled operator permits. For this purpose, the DGCA has issued various CARs. CAR dated 1 March 1994 under section 3 - Air Transport (series C, Part II) lists out the minimum requirements for grant of a permit to operate scheduled passenger air transport services. CAR dated 1 June 2010 under section 3 - Air Transport (series C, Part III, issue II) lists the minimum requirements for grant of a permit to operate non-scheduled air transport services. CAR dated 26 August 1997 (revised 25 January 2017) under section 3 - Air Transport (series C, Part IV) lists the minimum requirements for grant of a permit and operation of air transport cargo services. The relevant operating permits are the equivalent of the air operator’s certificate referred to in ICAO documents. As per CAP 3100 - Air Operator Certification Manual - the application for an air operator’s permit (AOP) must be prepared in accordance with requirements prescribed in Appendix A of the Manual. The Manual has separate chapters on the ‘Initial Issue of an AOP’ and the ‘Certification Process’. The above-mentioned CARs set out the procedure for applications for the necessary permits. As per CAP 3100, for applicants of scheduled air operators permit, the permission is subject to obtaining in-­principle approval from the MoCA. The applications are now reviewed by a standing committee constituted by the MoCA. This committee recommends grant of the initial no objection certificate (NOC), but it may also direct compliance with any unfulfilled requirements. The committee examines various aspects, such as the ‘need for the services in the proposed area keeping in view the existing services, airport capacity and constraints at the proposed main base and night stop station, suitability of the proposed aircraft type keeping in view the airworthiness and safety regulations, satisfactory plan of human resource development, maintenance arrangement and compliance with the requirements stipulated for grant of the permit sought by the applicant’. The committee can seek clarifications and it only recommends (to the MoCA) the grant of the initial NOC after security clearance, if the requirements are satisfied and subject to such ‘conditions as may be considered necessary’. For international flights, the licence to operate a route depends on the bilateral agreement. It is possible for all government decisions to be challenged under the Constitution of India (article 226), but it is more common for the MoCA to arrive at conditions that are realistic and achievable, to discuss the same with the affected party and then direct compliance accordingly. It is not common for a third party to claim that a proposed licence may be prejudicial to its existing routes or interests and the regulator would probably only allow such objections to be tested by market forces. There have been instances in the past of the government exercising protectionism with regard to the national carrier and its routes, but the tendency has generally been resisted in the past few years by successive governments and this has noticeably affected the financial health of the carrier. Where permissions are withheld due to a particular route, the route dispersal guidelines discussed in question 10 are relevant. The regulator may consider abandoning preferential international route assignments to the national carrier, which would allow private carriers to compete with Air India. Taking away Air India’s right to priority route assignments will also help other Indian international carriers expand service to additional international destinations, leading to expansion in the range of choices for consumers. The committee did accept an expert researcher’s report, but interestingly was itself composed mostly of government of India officers. It was chaired by the secretary of the MoCA with the DGCA as a member. The International Civil Aviation Negotiations 2016 were held in Nassau from 5 to 9 December 2016. India held negotiations with 17 countries and a memorandum of understanding was signed with 12 countries, with major issues being resolved at these negotiations as per the directions in the National Civil Aviation Policy (NCAP 2016). Following this policy, Open Skies agreements were signed with the Czech Republic, Finland, Guyana, Jamaica, Spain and Sri Lanka. New air service agreements were also signed with Guyana and Jamaica. the party designating the airline must maintain and administer the standards with regard to safety and aviation security set forth in the bilateral air services agreement. The designated airline must ensure and demonstrate continued compliance with the conditions of operating authorisation, and the provisions of the bilateral air services agreement must be complied with alongside other requirements set out in the AIC. The airline must be officially designated by the government of the country of the airline by reference to the air services agreement. Information and documentation must be provided as per appendices A and B of the AIC. standards in relation to safety or aviation security are not being properly maintained and administered by the country of the airline. For code-share arrangements that are recognised in the relevant air service agreement, one of the designated airlines performs the agreed services as the operating carrier while the other airline operates as a marketing airline. Pursuant to the AIC, both the operating and marketing airlines are required to obtain operating authorisation under the respective air service agreements and furnish the necessary information and documents. Marketing airlines are only exempt from providing the operations manual, fleet details and approval of the security programme. The AIC also calls for coordination of slots, filing of schedules and general compliance with the conditions of the operating authorisation and the bilateral air services agreement terms. The information sought under Appendix A and the documents required under Appendix B are similar to those required by the earlier AIC No. 3 of 2000. The airline must be formally designated through diplomatic channels, and thereafter, the aeronautical authority of India (the DGCA) grants the appropriate operating authorisation, subject to the conditions provided therein. Several documents must be filed before an operating authorisation can be granted and these include incorporation documents of the airline, details of the board of directors, copies of other air operator certificates or equivalent document issued by the country designating the airline, an operations manual approved by the competent authority of the home state, details of the fleet, a detailed security programme, undertaking by the CEO of the airline that Indian laws, rules, regulations and requirements shall be complied with by the designated airline, etc. Once the application is submitted, approval of the competent authorities involved in respect of airline level requirements must be submitted (this includes any arrangements with the Airports Authority, Reserve Bank of India permissions, etc). The slots are coordinated with the AAI and the schedule is to be filed at least 30 days prior to commencement of the proposed air services. After the above-mentioned process is completed, a carrier engaged in international operations must ensure that all its employees comply with the laws, regulations and procedures pertinent to performance of their duties. The operator must have all necessary operational documents and publications such as an Operations Manual, CARs, AICs, notices to airmen, aeronautical maps and charts, operational circulars, etc, for reference. The carrier is required to have and must follow an approved flight safety manual laying down the policies and procedures for ensuring safety of operations, investigation of occurrences, implementation of safety recommendations, accident or incident prevention programmes and safety enhancement measures as per the requirements laid down by the DGCA and the BCAS. The carrier is required to have computerised systems to analyse digital flight data recorders and solid state flight data recorders, to record data of all flights to determine exceedance in flight operations, and to ensure compliance with operating procedures. Scheduled operations must be conducted from approved operational bases and the operator is required to ensure that operations are conducted only to and from airports suitable for the type of aircraft. The carrier must ensure that all security requirements stipulated by the BCAS are strictly followed in respect of their operations at all airports. In 2014, IndiGo, Jet Airways, SpiceJet and GoAir asked the aviation regulator to deny an airline permit to Tata SIA Airlines Ltd, a joint venture between the Tata group and Singapore Airlines, complaining that substantive and effective control (of Tata SIA) did not vest in Indian hands, that the mandate of Schedule XI to the Aircraft Rules of 1937 (related to minimum airworthiness, operations and other general requirements for grant of air permit) was not being satisfied and that foreign airlines are not entitled to use sensitive airports. The DGCA eventually approved the Tata SIA proposal after imposing conditions and upon being satisfied that control remains with the Tatas and that the other compliance requirements were met. With a view to achieving better regulation of air transport services and taking into account the need for air transport services for different regions in the country, the central government through the DGCA on 1 March 1994 laid down the route dispersal guidelines. According to these Guidelines, all routes were divided into three categories. Route categorisation was based on traditionally surplus-generating routes (category I), loss-making routes (category II) and the remaining routes (category III). Category IIA was mandated as a category within category II, to cover specifically the North Eastern region and the states of Jammu and Kashmir, Andaman and Nicobar Islands, and the Lakshadweep Islands. on category III routes, at least 50 per cent of the capacity deployed on category I routes. The route dispersal guidelines are sought to be rationalised as per the National Civil Aviation Policy of 2016. As per a press release on 11 November 2016 from the MoCA through the Press Information Bureau, the amount collected as Regional Connectivity Fund (RCF) would be used to stimulate growth and development in the civil aviation sector. The objective of the scheme [the UDAN scheme (Ude Desh ka Aam Nagrik or ‘allowing the common man to fly’)] is to enhance air passenger traffic in India by stimulating demand on regional routes. The amount collected as RCF will be used to provide financial support to airlines in the form of Viability Gap Funding (VGF) for operations under the UDAN scheme. In accordance with the directions of the MoCA, the RCF funding will come from small levies, per departure, on all domestic flights, with the exception of flights on Categories II or IIA routes under the Route Dispersal Guidelines, Regional Connectivity Scheme Routes and aircraft with a maximum certified takeoff mass of less than 40,000kg. A part of the fund will also be contributed to by the states that have signed the UDAN memorandum of understanding: at the time of the press release, 19 states had either signed or given their consent to the UDAN scheme. National scheduled airlines providing services on domestic routes, where such fee per departure is levied, would also be eligible under the UDAN scheme to avail the benefits. Similarly, the passengers would also benefit from additional connectivity on regional routes at prices that are on par with, or below, the airfare caps. The MoCA issued Order No. AV13030/34/2012-DT on 4 March 2014, which provides for the requirements under which services are to be operated in different regions and remote areas of the country. As per this order it is mandatory for all scheduled airlines to operate at least 6 per cent of their total domestic operating capacity to airports in remote or strategic areas. Further, for all airports in the north-eastern region (with the exception of Guwahati and Bagdogra), all airports in the Jammu and Kashmir region (with the exception of Jammu) and all airports in the Andaman and Nicobar islands and Lakshadweep, it is now mandatory for all India-based airlines to operate at least 1 per cent of their total operating capacity on sectors or routes in these areas. For the purpose of this calculation and for internal connectivity, operations to and from Guwahati, Bagdogra, Jammu and within Andaman and Nicobar are also to be included. A CAR dated 7 December 2017 (effective 15 December 2017), issued under section 3, Air Transport (series F, Part I), deals with the requirement procedure for the issue of non-scheduled flight clearances and enrolment of a flight clearance agency. This CAR is applicable to an agency obtaining flight clearances including tour operators; government agencies including state governments; foreign aircraft operators; agencies undertaking aerial photography, geophysical surveys, cloud seeding, etc; and Indian aircraft operators. The CAR contains the procedure for clearance of foreign non-scheduled flights, minimum notice periods, application procedures, special permissions (long stays for aircraft, non-ICAO member flights, air-dropping and passenger charter flights to India not covered by Tourist Charter guidelines), provisions for changes in flight clearance, landing at defence airfields, etc. The CAR provides that the guidelines for issue of flight clearance to ITP Tourist Charter flights have been taken from AIC No. 5 of 2015. The 2015 Circular sets out the application procedure, the conditions for operation of ITP charter flights (including a provision for the DGCA to impose additional conditions) and the applicable ‘safeguards and penalties’ (ie, applicable penalties for violation of any provisions of the Circular). The government intends to liberalise international charter operations as per the National Civil Aviation Policy of 2016. Rule 135 of the Aircraft Rules of 1937 deals with tariffs and how they are to be first established and then published. Under sub-rule (3), every air transport undertaking is required to maintain all records relating to tariffs established by it in such manner and form as specified by the DGCA. Although filing and approval of tariffs is no longer required, the DGCA has the power under sub-rule (4) to intervene in cases where it is satisfied that any air transport undertaking has established excessive or predatory tariffs or has indulged in an oligopolistic practice. Rule 135 has been amended by gazette notification GSR 254(E), dated 16 April 2009 pursuant to which the DGCA came out with Circular No. 9/9/2009-IR, dated 11 May 2009 and 22 June 2009. This notification provides that all airlines operating scheduled air services (domestic as well as international) to, from or within India are required to amend their respective websites and advise their travel agents to display tariffs in a conspicuous manner to show the total amount payable by a passenger and a complete break-up of the total amount and also show the fare on the ticket in the same manner. Another example of the government’s regulation of tariffs can be seen in a circular dated 17 December 2012, whereby it was directed that ‘all Indian and foreign air carriers’ were prohibited from charging transaction fees in violation of Rule 135 of the Aircraft Rules as part of the airfare. This circular became the subject of a Supreme Court of India case and resulted in directions of the Supreme Court in February 2013. This eventually resulted in a further government order, dated 16 September 2013, which provides that the terms ‘commission’, ‘transaction fees’, ‘convenience fees’ or any other similar terms are to be treated as ‘commission’ mentioned in Rule 135 of the Aircraft Rules of 1937 as a part of the tariff to be determined by the airlines and ‘no amount will be collected from the consumers over and above this’. A government of India public notice of 7 October 2014 issued by the DGCA prohibits the launch of unmanned aircraft systems (UAS) by any non-government agency, organisation or individual in Indian civil airspace for any purpose whatsoever. Only the government is permitted the use of drones for military purposes in India. The DGCA had come out with draft guidelines in April 2016 and stakeholders, including security and defence agencies, were given until 21 May 2016 to submit their comments. The draft guidelines published on 21 April 2016 are titled ‘Guidelines for Obtaining Unique Identification Number (UIN) and Operation of Civil Unmanned Aircraft System (UAS)’. As per the guidelines, the DGCA would register all civil unmanned aircraft (UA) and issue a UA operator permit (UAOP) on a case-by-case basis. Civil UA have been classified as micro, mini, small and large in accordance with the weight of the UA, as indicated in the draft guidelines. On 30 October 2017, the DGCA came out with a draft CAR under Section 3 - Air Transport, Series X, Part I. The draft CAR is on ‘Requirements for Operation of Civil Remotely Piloted Aircraft System (RPAS)’ and it is applicable to civil Remotely Piloted Aircraft Systems that are remotely piloted from a Remote Pilot Station. Model aircraft (MTOW up to 2kg, without any payload) flown below 200ft inside educational institution premises will not require a UIN and/or a UAOP. The draft CAR further provides that all civil RPAs (except RPAs in the Nano category with an intent to fly up to 50ft above ground level, and those owned and operated by government security agencies) are required to obtain a UIN from the DGCA. The requirements for issuance of UIN are also listed. The requirements for the issuance of a UAOP and exceptions thereto are also enumerated. The draft CAR also specifies certain restricted areas for operation of drones. Drones cannot be operated within an area of 5km from the aerodrome reference point of operational airports, within permanent or temporary prohibited, restricted and danger areas as notified by the AAI and without prior approval over densely populated areas or over or near an area affecting public safety or where emergency operations are under way and within 50km from an international border and beyond 500 metres (horizontal) into the sea from the coastline, provided the location of the ground station is on a fixed platform over land. Drones cannot be operated within a 5km radius of strategic locations and within 500 metres from the perimeter of a military installation or facility and from a mobile platform such as a moving vehicle, ship or aircraft. 15A. Operation of Remotely Piloted Aircraft System. (1) No remotely piloted aircraft of all-upweight more than 250 grams shall be flown unless such aircraft has been allotted a Unique Identification Number by the Director-General. (2) A remotely piloted aircraft with all up weight exceeding a limit as specified by the Director-General from time to time shall not be flown by the operator, save, as per the conditions of the permit issued by the Director-General. Such permit shall be granted by the Director-General on being satisfied that the applicant meets the requirements as specified by the Director-General in this behalf. The continued validity of the permit shall be subject to compliance of such conditions as may be stipulated by the Director-General in the permit. (3) The permit granted under sub-rule (2) shall, unless suspended or cancelled, remain valid for a period not exceeding five years, and may be renewed for a period not exceeding five years at a time. (4) In case of non-compliance with the conditions of the permit or for any other violation of the provisions of these rules, the Director-General may suspend or cancel the permit after giving a show cause notice to the holder. (5) The fee for issue of unique identification number for a remotely piloted aircraft shall be Rupees 1,000 only. (ii) for renewal of permit: Rupees 10,000 only. (7) The fee shall be paid in the manner as specified by the Director-General. The owner of the aircraft and, in the case of leased aircraft, the lessor and the lessee are to be mentioned in the aircraft register. by a company or corporation registered elsewhere than in India and carrying on business in India. Rule 30(3) provides that aircraft for which the conditions mentioned in Rule 30(2) are not satisfied or that is already validly registered in another country shall not be registered in India. Rule 30(4) provides that where the usual station of an aircraft and its ordinary area of operation are not situated in India, the central government may refuse an application for registration of the aircraft in India or to permit an aircraft to remain registered in India, if, in its opinion, the aircraft could more suitably be registered in another country. Rule 33 provides for change in the ownership of a registered aircraft. In the CAR dated 10 September 1998 (revised 13 June 2017) under section 2 - Airworthiness (series F, Part I) on ‘Registration/Deregistration of Aircraft’, it is provided that an owner or his or her authorised representative may apply for registration of an aircraft in the prescribed form complete with the requisite documents, at least five working days for aircraft on outright purchase and 10 working days for aircraft on lease, before the expected date of issue of a certificate of registration. Where the aircraft has been mortgaged or hypothecated, the owner or operator shall submit his or her consent for the same and the papers to this effect. Such a mortgage or hypothecation shall be endorsed on the certificate of registration. Chapter VI of the Companies Act of 2013 deals with registration of charges. Section 2(16) thereof provides that ‘charge’ includes a mortgage. Section 77 provides that every company is required to register the particulars of the charge signed by the company and the charge holder, together with the instrument by which the charge is created, with the registrar for registration as required by the Companies Act within 30 days of the date of creation of the said charge. Section 81 provides that the registrar shall keep a register containing the particulars of the charges registered under this chapter in such form and manner as may be prescribed. Section 85 requires every company to keep a register of charges and a copy of every instrument creating a charge requiring registration, at its registered office. Section 86 provides for punishment for the contravention of any provisions of this chapter. such detention is necessary to secure compliance with the provisions of the Aircraft Act or the rules applicable to such aircraft; or such detention is necessary to prevent a contravention of section 5(2h) (the air routes by which and, the conditions under which aircraft may enter or leave India, or may fly over India, and the places at which the aircraft shall land) or section 5(2i) (the prohibition of flight by aircraft over any specified area, either absolutely or at specified times, or subject to specified conditions and exceptions) of the Aircraft Act, or to implement any order made by any court. the certificate of airworthiness in respect of the aircraft expired five or more years ago. In the case of a dispute regarding termination of an aircraft lease agreement, action can be taken under section 8(1)(b) of the Aircraft Act of 1934 for detention of an aircraft to implement a court order. Rule 60(2)(a) of the Aircraft Rules of 1937 provides that the DGCA may specify standards and conditions for the maintenance of an aircraft, aircraft component and item of equipment. As per Rule 60(1), maintenance refers to performance of all work necessary for the purpose of ensuring that the aircraft is airworthy and safe including servicing of the aircraft and all modifications, repairs, replacements, overhauls, processes, treatment, tests, operations and inspection of the aircraft, aircraft components and items of equipment required for that purpose. Maintenance is also defined in Rule 3(33C) of the Aircraft Rules of 1937. Part XIIIA of the Aircraft Rules of 1937 deals with engineering, inspection and manual requirements for owners or operators. As per Rule 154(a), ‘engineering and inspection’ refers to the performance of all work necessary for ensuring airworthiness and safety of the aircraft, including overhaul, maintenance, modification, repair, replacement, manufacture, assembly, testing, treatment, inspection and certification. As per Rule 154(b), ‘manual’ refers to ‘Operators’ Maintenance System Manual’ or ‘Operators’ Quality Control Manual’ or any other manual covering such requirements as the case may be. Specific CARs regarding maintenance of aircraft regulate the minimum maintenance standards, periodic inspections, etc. Series D under section 2 (Airworthiness) deals with aircraft maintenance programmes. Rule 133B specifies conditions for approval of an organisation as an ‘approved organisation’ for one or more of the specified activities that include design and manufacture of aircraft, components or parts and items of equipment, maintenance, repair, overhaul (MRO), training organisations, laboratories, etc. The International Airports Authority of India (IAAI) was constituted as an autonomous body under the International Airports Authority Act of 1971. Four international airports - Delhi, Bombay, Madras and Calcutta - were transferred to the IAAI with effect from 1 April 1972; later Trivandrum Airport was also transferred to IAAI. In 1985, a similar need was felt for domestic airports and air traffic control and related services. Consequently, the National Airports Authority (NAA) was constituted under the National Airports Authority Act of 1985. Eventually IAAI and NAA came to be merged into what is now known as the Airports Authority of India (AAI). As a result, in 2006 the AAI entered into two separate agreements for the operation, management and development of Delhi and Mumbai, respectively. Both airports were expanded and modernised and are now managed by Delhi International Airport Pvt Limited and Mumbai International Airport Pvt Limited, but the AAI retains a 26 per cent stake in both these companies, which are financed and largely run by private interests (ie, the GMR group for Delhi and the GVK group for Mumbai). Nearly half of India’s domestic air travel originates from either Delhi or Mumbai. In the first quarter of 2017, five Indian cities accounted for approximately 70 per cent of international passenger traffic, Delhi being at the top with 27.6 per cent, followed by Mumbai with 21.4 per cent. ‘Airport’ is defined in section 2(b) of the Airports Authority of India Act of 1994 and includes ‘aerodrome’ as defined in section 2(2) of the Aircraft Act of 1934. Part XI of the Aircraft Rules of 1937 deals with aerodromes and ‘aerodrome’ is also defined in Rule 3(2) as any definite or limited ground or water area intended to be used, either wholly or in part, for the landing or departure of aircraft, and includes all buildings, sheds, vessels, piers and other structures thereon or appertaining thereto. Rule 78 provides for licensing of aerodromes. An aerodrome should have a licence approved by the DGCA for such purpose. Sub-rule (2) provides that an aerodrome shall be licensed by the central government for public or private use. As per a recent MoCA Notification SO346(E), dated 1 February 2017, no person shall operate scheduled air transport services to or from an aerodrome including defence aerodromes with effect from 31 December 2017 unless the aerodrome is licensed, or the defence aerodrome is certified, by the DGCA as per Rule 78 sub-rules (1) and (1A) respectively. (a) a citizen of India; or (b) a company or body corporate, provided that (i) it is registered and has its principal place of business in India (ii) it meets the equity-holding criteria specified by the central government from time to time; or (c) the central government or a state government or any company or any corporation owned or controlled by either of them; or (d) a society registered under the Societies Registration Act, 1860. Rule 80 provides that an application for the grant of a licence for an aerodrome shall be made to the DGCA along with the aerodrome manual (Rule 81 provides that an aerodrome manual shall be maintained by a licensee in the specified form and it shall contain the particulars as per sub-rule (2) thereof) in the form as specified by the DGCA. Additional information or evidence may also be requested by the DGCA. Rule 81(3) provides that a copy of the aerodrome manual, or such part as may be specified by the DGCA, shall be made available by the licensee to all units of the aerodrome. Rule 82 deals with inspection and Rule 83 covers the conditions governing the grant of a licence. As per Rule 84, an aerodrome licence may be granted for a period not exceeding two years and the same time frame is prescribed for renewals. Rule 86 sets out tariff charges and Rule 87 provides for the fee that is chargeable for the grant of a licence for an aerodrome. The licensee is entitled to collect passenger service fees under Rule 88 and user development fees under Rule 89. As per Rule 88A, the central government, or any authority designated by it, may levy and collect aviation security fees on embarking passengers, cargo transported out of an airport, departing general aviation private aircraft, chartered aircraft operations and any other dedicated civil aviation operations. The relevant fees are treated as a tariff for aeronautical services regulated as explained in question 20. An Aerodrome Advisory Circular dated 14 September 2006 contains ‘Guidelines for preparation & maintenance of Aerodrome Manual’. This Circular provides details of the contents to be incorporated into the aerodrome manual and provides guidelines to be followed by the aerodrome operator while preparing the aerodrome manual and procedures for maintenance. (a) to determine the tariff for aeronautical services, taking into consideration the factors specified therein; (b) to determine the amount of the development fees; (c) to determine the amount of the passenger service fees; (d) to monitor set performance standards relating to quality, continuity and reliability of service as specified by the central government or any authority authorised by it; (e) to call for such information as may be necessary to determine the tariff under clause (a); and (f) to perform such other functions relating to tariff as may be entrusted to it by the central government or as may be necessary to carry out the provisions of the Act. As per section 13(2), tariffs are to be determined once every five years but a set tariff may be amended during this period if ‘considered appropriate and in public interest’. Section 17 provides for the establishment and powers of the Airports Economic Regulatory Authority Appellate Tribunal to adjudicate disputes and dispose of appeals (the Tribunal was established in early 2010). The Finance Act of 2017 provides for the merging of the Airports Economic Regulatory Authority Appellate Tribunal and the Cyber Appellate Tribunal (established under the Information Technology Act of 2000) with the Telecom Disputes Settlement and Appellate Tribunal (TDSAT), set up under section 14 of the Telecom Regulatory Authority of India (TRAI) Act of 1997 as amended by the TRAI (Amendment) Act of 2000.
no person shall, without permission in writing, by general or special order, of the Central Government or any officer authorized in this behalf - (a) enter or remain or cause any other person to enter or remain in the Movement area; (b) leave or throw or cause to be thrown any animal, bird or property or object of any nature whatsoever in the Movement area; (c) permit any animal under his possession or control or otherwise to stray in the Movement area; and (d) operate any vehicle in the Movement area. As per Rule 3(35A), ‘Movement area’ means the area of an aerodrome intended for the surface movement of an aircraft and includes the manoeuvring area and aprons. Rule 90(3) provides that sub-rules (1) and (2) shall not apply to any passenger embarking, disembarking or in transit who holds an air ticket or any person who is engaged on regular duty at an aerodrome and holds a photo identity card issued by the Commissioner of Security (Civil Aviation) of the BCAS or any person authorised by the central government in this behalf. Rule 90(4) provides that the officer-in-charge of an aerodrome or any person authorised by the central government in this behalf, may if he is satisfied that it is necessary or expedient so to do for maintaining proper order or decorum, refuse admission to any person into the terminal building or the Movement area or require any person in such building or such area to leave the same. level 3: where capacity is constrained due to lack of sufficient infrastructure. For level 3 airports, a coordinator is required to be designated to allocate slots to airlines and other aircraft operators using or planning to use the airport as a means of managing available capacity. Guidelines have been formulated to reflect international best practice and are in accordance with the recommendations of the IATA worldwide slot guidelines (WSG), as amended twice yearly. The WSG is the globally adopted standard for efficient slot allocation to optimise the use of severely congested airport infrastructure worldwide. After leasing the Delhi and Mumbai Airports to joint venture companies (JVCs) and after setting up greenfield airports at Hyderabad and Bangalore, the MoCA reviewed the slots allocation procedure and issued a revised procedure by its letter dated 10 September 2007. This revised procedure allows the respective JV airport operators of Delhi and Mumbai to allocate slots for these airports, and the AAI for the other airports. Later, the revised procedures were also made applicable to the other JVCs at Hyderabad and Bangalore. Part VII of the Guidelines deals with slot allocation. Airlines are required to file their slot requests for initial allocation twice each year for the summer and winter seasons with the concerned coordinator of the level 3 airport. The actual deadline for filing this request is as provided for in the IATA WSG coordination calendar. As per CAR dated 1 March 1994, ‘the operator shall intimate slots and/or flights not operated for a considerable period to DGCA and all concerned agencies every month’. Rule 92 of the Aircraft Rules of 1937 provides that the licensee of an aerodrome shall, while providing ground handling service by itself, ensure a competitive environment by allowing the airline operator at the airport to engage, without any restriction, any ground handling service provider permitted by the central government to provide such service. This is subject to a proviso that such ground handling service provider should have security clearance from the central government. BCAS Circular No. 4/2007, dated 19 February 2007, contains instructions on deployment of ground handling agencies at the airports. any other activity specified by the central government from time to time. (a) All domestic scheduled airline operators and scheduled helicopter operators will be free to carry out self-handling at all airports including Civil Enclaves. (b) A foreign airline may undertake self-handling in respect of passenger and baggage handling activities excluding security functions listed out in para 1 of AVSEC Order 03/2009 [enclosed as Annexure-I] at the airport terminals restricted to the passenger check-in at pre security hold area, at all the airports except Civil Enclaves or Joint User Defence Airfields. (c) At the cargo terminals except Civil Enclaves or Joint User Defence Airfields, all cargo aircraft may undertake self handling excluding security functions listed out in para 1 of AVSEC Order 03/2009 [Annexure-I]. (d) At all airports having annual passenger throughput of 10 million passengers per annum or above, the airport operator shall ensure that there will be three ground handling agencies including that of the Airport Operator or its Joint Venture or its 100% owned subsidiary, a Joint Venture or a subsidiary of Air India and any other ground handling agencies appointed by the airport operator through a transparent bidding process. (iii) any other ground handling agency appointed by the airport operator through a transparent bidding process. (f) A ground handling agency, with foreign ownership of 50% or more of its paid-up capital shall not be allowed to undertake ground handling activities at Civil Enclaves or Joint User Defence Airfields. (g) At all airports, the Joint Venture or the subsidiary of Air India shall match the lowest royalty paid by the other ground handling agencies. (h) The provisions of clauses (d), (e) and (g) of this regulation relating to Air India will be in force so long as Air India remains a Public Sector Undertaking and in case of its disinvestment, the above said clauses will continue with respect to Air India at all such airports where it functions as a ground handling agency, till such time the next bid takes place for that airport. (i) No royalty is payable in case of self-handling. (j) All airlines, Joint Ventures, subsidiaries, ground handling agencies shall enter into an agreement with the airport operator for the satisfactory observance of performance standards as may be mutually acceptable. The BCAS also issued an aviation security (AVSEC) Order No. 3/2009, dated 21 August 2009, which specifically provides that the aircraft operators’ aviation security functions listed therein ‘cannot be mixed up with other ground handling activities, and these AVSEC functions shall not be allowed by an aircraft operator/airport operator to be undertaken by a Ground Handling Agency’. As per the National Civil Aviation Policy of 2016, self-ground handling by airlines will be allowed for operations under the regional connectivity scheme at all airports. Paragraph 19 of the Policy deals with ‘ground handling’ and provides that the existing Ground Handling Policy, Instructions and Regulations will be replaced by a new framework. Ground handling is also to be included under the Essential Services Maintenance Act of 1968. As per this Act, essential services include ‘any service connected with the operation or maintenance of aerodromes, or with the operation, repair or maintenance of aircraft’. Air traffic service, as per Rule 3(1F) of the Aircraft Rules of 1937 means ‘the flight information service, alerting service and air traffic advisory service and air traffic control service (area control service, approach control service or aerodrome control service)’. Part XII of the Rules deals with personnel of air traffic services. Rule 93(1) provides that only a person who holds a valid air traffic controller’s licence shall engage him or herself in the provision of air traffic services in the Indian airspace or in any airspace outside Indian territory for which India has, pursuant to any international arrangement, undertaken to provide air traffic services. Rule 93(2) provides that the designated military authority may provide air traffic services to civil aircraft in the airspace designated for military use in accordance with the provisions of Part XII and subject to the conditions specified by the DGCA. Rule 95 provides for grant or renewal of the specified licences by the licensing authority and the conditions for grant or renewal of the same. The DGCA’s CAR dated 8 January 2010 (revised 18 December 2017 ) regulates airspace and air traffic management. Air traffic service is also defined in section 2(d) of the Airports Authority of India Act of 1994. Section 22 provides that the AAI may, with the previous approval of the central government, charge fees or rent for providing air traffic services, etc. There is a Manual of Air Traffic Services issued by the AAI. Chapter 4 of this manual deals with air traffic services - its objectives, divisions, classification of airspaces, responsibility for control, etc. The Department of Air Traffic Management under the AAI provides air traffic services to all arriving, departing and en-route aircraft over Indian airspace, establishment of air routes, realignment of existing air routes in consultation with user airlines and international bodies such as IATA and ICAO, manpower planning, training and award of ratings to air traffic controllers in conformity with ICAO rules and regulations as set out in Annex I (Personnel Licensing), monitoring of standards and procedures in the provision of Air Traffic Services, etc. The AAI has drawn up plans to upgrade the air traffic management infrastructure in the country both in terms of conditional provision of automation systems and upgrading of technology which also involves shifting from ground-based navigation to satellite-based navigation. A Communication, Navigation and Surveillance (CNS) Planning Department deals with planning, procurement and commissioning of CNS facilities and support systems for air navigation. What is relevant is whether there was any cause of action for claiming damages, that is, whether there was any deficiency in service or whether there was any negligence in providing facilitation. If the delay was due to reasons beyond the control of the airline and if the appellant and its crew have acted reasonably and in a bona fide manner, the appellant cannot be made liable to pay damages even if there has been some inconvenience or hardship to a passenger on account of the delay. The central government may, having regard to the objects of the Act, and if it considers necessary or expedient so to do, by notification in the Official Gazette, give effect to the limits of liability, revised by the depository under rule 24 of chapter III of the Third Schedule to this Act, for the purposes of determining the liabilities of the carriers and extent of compensation for damages under the said chapter of that Schedule. As per the Carriage by Air (Amendment) Bill of 2015, damages in case of death or bodily injury were sought to be revised from 100,000 SDR to 113,100 SDR. The liability for delay in carriage of persons was sought to be raised from 4,150 SDR to 4,694 SDR. The liability in case of destruction, loss, damage or delay of baggage was sought to be raised from 1,000 SDR to 1,131 SDR and for cargo from 17 SDR to 19 SDR per kilogram. The Rome Convention of 1952 has been enacted to ensure adequate compensation for persons who suffer damage caused on the surface by foreign aircraft, while limiting in a reasonable manner the extent of the liabilities incurred for such damage so as not to hinder the development of international civil air transport. Chapter II deals with the extent of liability. India signed the Convention in 1955 but has still not ratified it. Section 7 of the Aircraft Act of 1934 outlines the power of the central government to make rules for investigation of accidents or incidents arising out of or in the course of the navigation in or over India of any aircraft, or anywhere of aircraft registered in India. Accordingly, the draft Aircraft (Investigation of Accidents and Incidents) Rules of 2017 have been published. Rule 8 provides for the setting up of an Aircraft Accident Investigation Bureau of India (the Bureau) for the purposes of carrying out investigation into accidents, serious incidents and incidents referred to in Rule 5(1), (2) and (4). Rule 9 provides for a preliminary investigation and Rule 12 provides the details for a formal investigation for which the central government shall appoint a competent person referred to as ‘the court’ who shall have, for the purposes of investigation, all the powers of a civil court under the Code of Civil Procedure of 1908. As per Rule 13, the DGCA may order investigation of any incident or serious incident involving an aircraft covered under Rule 5(1)(c) and may appoint a competent and qualified person as Investigator-in-Charge for the purposes of carrying out the investigation. The Investigator-in-Charge shall have the same powers and duties as an Investigator under Rule 10 and shall make a report to the DGCA in the format specified by the Bureau. The DGCA shall accept the report of the Investigator-in-Charge and after acceptance, the same will be made public by the DGCA in a manner that is deemed fit. The DGCA CARs under section 5 - Air Safety on the ‘Procedure for Accident/Incident Investigation’ (series C) and ‘Prevention of Accidents/Incidents’ (series F) cover aircraft accidents and serious incidents and also provide for investigation, accident or incident prevention programme and its implementation and submission of reports, etc. further strengthened with manpower on contract basis, if necessary, in order to undertake speedy, independent, professional and effective investigations. The investigations would be completed within specific time frame and the implementations of the recommendations of these investigation reports would be reviewed periodically by the Ministry. Rule 18 of the draft Aircraft (Investigation of Accidents and Incidents) Rules of 2017 provides for the DGCA to establish a mandatory incident reporting system to facilitate collection of information on actual or potential safety deficiencies and specify the procedure for the same. There is also provision (in Rule 19) for voluntary incident reporting. There are no specific competition rules (although Rule 135 of the Aircraft Rules of 1937 does prohibit an ‘oligopolistic’ or anticompetitive practice) for aviation. The Competition Act of 2002 applies and prohibits anticompetitive agreements (section 3), prohibits abuse of dominance (section 4) and regulates combinations including mergers (sections 5 and 6). The provisions of the Competition Act relating to anticompetitive agreements and abuse of dominant position have been the subject of several cases decided by the Competition Commission of India (CCI) and its appellate tribunal (the COMPAT). In 2017, the COMPAT merged with the National Company Law Appellate Tribunal (NCLAT). An anticompetitive agreement case filed by travel agents against several airlines was dismissed by the CCI in 2011 along with an appeal to the COMPAT in 2012. A planned acquisition of 24 per cent of Jet Airways by Etihad was approved by the CCI in 2013. The CCI can approve such combinations if the same have no ‘appreciable adverse effect’ on competition. If the CCI fails to accord approval within 210 days, or if it does not pass any order or issue any directions, then the combination is deemed to be approved. In March 2014, the COMPAT dismissed an appeal challenging the CCI’s approval of a 20.6 billion-rupee Jet/Etihad deal, stating the appellant did not have locus standi to file the appeal. A former Air India executive director had filed the appeal questioning the decision of the CCI to permit the ‘combination’ of two airlines, namely Etihad Airways and Jet Airways (India) Ltd. The CCI majority order, passed by its chairman and four members, found that the Jet/Etihad combination was not likely to have an appreciable adverse effect on competition. Apart from the above matter relating to a combination, there have been a few cases that have come up for adjudication before the CCI in relation to both alleged abuse of dominance and anticompetitive agreements. In Turbo Aviation Pvt Ltd v Bangalore International Airport Ltd and others, decided on 7 January 2016 by the CCI, M/s Turbo Aviation (the informant) had alleged that Bangalore International Airport Limited (BIAL), GVK Power & Infrastructure Limited (GVK) and the AAI had violated the provisions of sections 3 and 4 of the Competition Act. The informant alleged abuse of group dominance by BIAL and GVK. It further alleged that by leveraging its dominance in the market for airport operations, BIAL was able to extend its dominance to protect the ground handling services market to the detriment of the airline operators. The CCI observed that the relevant market should be considered as the ‘market for the provision of ground handling services at KIAB’ (ie, Kempegowda International Airport at Bangalore). Although it was found that the respondents were in a dominant position in the relevant market, the CCI pointed out that dominance per se is not a violation, as the Act proscribes only abuse of dominant position by a dominant enterprise in a relevant market. The CCI thus held that there was no case of contravention under the Act. In the case of Express Industry Council of India v Jet Airways (India) Ltd and others, decided by the CCI on 17 November 2015, the informant filed a complaint against Jet Airways, IndiGo Airlines, Spicejet, Air India and Go Airlines alleging contravention of section 3 of the Act (against anticompetitive agreements). It was alleged that certain domestic airlines colluded to introduce a ‘fuel surcharge’ (FSC) for transporting cargo. The levy of FSC at a uniform rate from the same date itself was said to constitute a (continuing) act of cartelisation. The informant also averred that even when fuel prices declined substantially, the airlines had, in concert, uniformly increased FSC. The CCI directed investigation. After considering the DGCCI’s (adverse) report and hearing the parties, the CCI held that the respondents had acted in concert and the only plausible reason for increment of FSC rates was collusion among them. It was further held that such conduct indirectly determined the rates of air cargo transport in terms of the provisions contained in section 3(3a) of the Act. The CCI then passed an order directing Jet, Indigo and Spicejet to cease and desist from indulging in anticompetitive practices and also imposed heavy penalties ranging from approximately US$6.5 million to US$23 million. Appeals were filed in the COMPAT and, by an order dated 18 April 2016, it was held that the CCI had passed the impugned order without giving an action-orientated notice to the appellants and an effective opportunity to controvert what the CCI had perceived as being contrary to section 3 of the Act, thus it was found to be in violation of principles of natural justice. The appeals were allowed, the impugned order was set aside and the cases were remanded back to the CCI for a fresh decision subject to certain directions issued by the COMPAT. Pursuant to this order, a report of the Director General of the CCI (the DGCCI) was considered by the CCI and the airlines were called upon to explain why conclusions drawn by the DGCCI against them, should not be accepted and further as to why, the airlines should not be held to have acted in contravention of the provisions of section 3(1) read with section 3(3)(a) of the Act. Jet Airways, Indigo and SpiceJet filed their responses. The CCI, by its order dated 7 March 2018, found that: ‘a clear pattern is seen to emerge, which indicates concerted and coordinated efforts by the airlines. 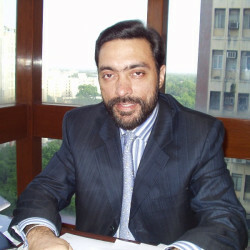 The present case is an example of stratagem employed by the participants in a cartel where minor lags in revisions are sought to mask the collusive conduct and to portray that a competitive scenario is prevailing the sector.’ It was further held: ‘it is opined that the OPs have acted in parallel and the only plausible reason for increment of FSC rates by the airlines was collusion among them. Such a conduct has, in turn, resulted into indirectly determining the rates of air cargo transport in terms of the provisions contained in Section 3(3)(a) of the Act.’ The CCI held that Jet Airways, Indigo and SpiceJet had been acting in contravention of section 3(3)(a) read with section 3(1) of the Act and consequently the CCI imposed significant penalties payable by each of the airlines. In International Air Transport Association (IATA) v Air Cargo Agents Association of India (ACAAI) and others, decided by the CCI on 12 September 2017, the informant (ie, IATA) filed an information under section 19(1)(a) of the Competition Act 2002 against the ACAAI and its office bearers alleging contravention of section 3 of the Act (anticompetitive agreement). It was alleged that the respondents were colluding and collectively boycotting business with airlines that sought to implement the cargo accounts settlement system (CASS) in India and such conduct limited the supply of air cargo transport services in India in blatant contravention of section 3(3)(b) affecting the end consumer and this had an appreciable adverse effect on competition in India. The informant, inter alia, prayed to institute an inquiry against the respondents under section 26(1) of the Act. It was held by the CCI that an independent decision by an enterprise to offer or not to offer services at prevailing conditions did not raise antitrust concerns per se. However, an agreement among competitors not to offer services at prevailing conditions would raise antitrust concerns. It was further held that the informant had not produced evidence to establish that the ACAAI had taken coercive action against any of its members for their participation in IATA’s CASS implementation. Further, the informant had not provided data to show adverse impact on the business of the two member airlines of the informant that could be attributed to the activities of the respondents. The CCI further noted that the informant had failed to furnish any material that could prima facie demonstrate the existence of an agreement among the respondents, in contravention of section 3(3)(b) read with section 3(1) of the Act. The CCI thus held that no prima facie case of contravention of section 3 of the Act was made out and the matter was ordered to be closed. In a 2011 case, Uniglobe v Travel Agents’ Association of India (TAAI)and others, the CCI penalised three travel agent associations for indulging in the anticompetitive practice of boycotting airlines that had shifted to zero per cent commission; the CCI also passed cease-and-desist orders on the practice. In M/s FCM Travel Solutions (India) Ltd v Travel Agents Federation of India (TAFI), the issue in question was whether the actions of the opposite parties to boycott the selling of tickets of Singapore and Silk Airlines and divert bookings to other airlines contravened provisions of the Competition Act and warranted imposition of a penalty. The actions of the TAFI were found to be anticompetitive and in the light of a similar order passed in October 2011, it was held that the conduct of the opposite parties and TAFI in boycotting the sale of tickets of Singapore Airlines fell foul of section 3(3)(b). It was fully established by cogent and credible evidence that TAFI, TAAI and IAAI (opposite parties in that case) as well as three other non-IATA travel agent associations, namely, the Indian Association of Tour Operators, the Association of Domestic Tour Operators of India and the Enterprising Travel Agents Association contravened the above provisions, thus limiting the supply of travel agent services as well as the sale of tickets of Singapore Airlines and, consequently, the sale of Singapore Airlines tickets dropped by 29 per cent owing to the boycott call given by these associations. However, since the CCI had already imposed a penalty under section 27(b) of the Competition Act on TAFI, TAAI and IAAI in Case No. 3/2009, no penalty was imposed on the opposite parties. In TAAI v British Airways, decided in 2010, the CCI dismissed a complaint against the carrier alleging abuse of dominance for having restricted the sale of its tickets through certain accredited travel agents only. The CCI found that British Airways was not dominant in the relevant market. In 2011, the CCI dismissed a complaint, and then in 2012, the COMPAT dismissed an appeal involving TAAI against Lufthansa and eight airlines on the grounds that the airlines had, acting as a cartel, been guilty of abuse of dominance in moving to the zero per cent commission system. The CCI and COMPAT both rejected the city-pair argument (that being the relevant market) and held that the airlines taken together were not dominant, did not act in concert - so there was no agreement - and hence dismissed the complaint and appeal (the authors acted for three out of eight respondent airlines). Both competition agencies and regulators usually have some, albeit limited, overlapping mandate to achieve economic efficiency. However, the conceptual framework reflects that sectoral regulators such as the DGCA have specific functions relating to that sector but not market functions, which is the domain of the general competition authority (ie, the CCI). Therefore there are generally no sector-specific competition laws or rules that can be applied by the competition authority; however, the provisions of Rule 135 cited in question 29 referring to oligopolistic practices are exceptions that are not usually resorted to by the regulator or the DGCA. The Competition Act of 2002, defines the ‘relevant market’ under section 2(r). Ascertaining the relevant market is a pertinent step to analysing whether there is an adverse effect on competition. The relevant market is determined in a two-pronged manner (section 19(5)): one needs to ascertain the relevant geographic market as prescribed under section 19(6) and also determine the relevant product market as prescribed under section 19(7). Attempts have been made to define a geographic market by reference to city-pairs in the aviation sector, but the Competition Commission and the Competition Appellate Tribunal have not accepted this argument, generally preferring the view that the market is international flights to and from India (see question 29). The standard for assessing the competitive impact of a transaction is by determining whether such transaction has an appreciable adverse effect on competition. Even in the case of a combination (merger or acquisition), the standard used is the same: that is, whether such a combination would result in or is likely to cause an appreciable adverse effect on competition within the relevant market in India. The CCI may make inquiries into certain types of agreements (under section 19) and combinations (under section 20, provided they are above the statutory threshold limit) to see whether they have an appreciable adverse effect on competition . The CCI also has the power to take up these inquiries suo motu (ie, of its own motion). Upon finding a contravention of the Act, the CCI may pass an order directing the responsible enterprises to discontinue the contravention and it is empowered to impose such penalties as it deems fit. The penalties can be up to 10 per cent of the offender’s average turnover for the preceding three financial years. In the case of a cartel, the CCI may impose a greater penalty equal to three times the profit for each year that the contravention was carried on by the cartel or 10 per cent of its turnover for each year of the continuance of such agreement, whichever is higher. The CCI can by order modify agreements or pass such order as it may deem fit. In Air India Ltd v the Competition Commission of India, the Hindustan Times House and others, decided by the COMPAT on 29 April 2016, the COMPAT dismissed an appeal filed by Air India. The appellant alleged that Indigo Airlines, which enjoys a dominant position in the civil aviation market, had resorted to predatory recruitment of pilots serving with the appellant and other airlines by offering attractive emoluments, thereby, causing serious operational problems for Air India. The CCI declined to exercise its powers and order an investigation. The COMPAT held that the appellant should have placed some tangible evidence to show that the respondent had in fact indulged in predatory hiring of pilots already serving other airlines. No. However, the central government has given approximately US$1.7 billion (in the four years before 31 March 2013) of aid to Air India. In 2013, Indian Oil Corporation, the nation’s biggest refiner, agreed to sell jet fuel to Air India at an 8 per cent discount. Recently the government of India through the Cabinet has been considering a bailout package of 170 billion rupees for Air India. The state has, as a policy, given aid and injected funds to assist Air India’s business. In 2018, the government of India continues to help Air India with liquidity infusion even as it looks at alternative mechanisms for Air India’s planned disinvestment after a failure of its first efforts to do so. It has been recommended that the stated policy ‘that the national carrier would be considered before allocation of traffic rights to other eligible applicants’ should be discontinued (see the 2012 Report of the Committee Constituted for examination of the recommendations made in the Study Report on Competitive Framework of Civil Aviation Sector in India), but so far there is no indication of the Government implementing this policy. State aid is only given to the national carrier, as it is government-owned; as such, there are no applicable exemptions. No, since Air India is fully state-owned as the national carrier and no state aid is rendered to other airlines. The competition authorities do not seem to regard state aid as anticompetitive. The Carriage by Air Act of 1972 and the Consumer Protection Act of 1986 are the statutes under which passengers may file an action to redress their grievances or approach civil courts for compensation and damages. The former enacts the Warsaw, Hague and Montreal Conventions and the latter provides for redressal of a consumer dispute involving deficient services. The Consumer Protection Bill 2018 provides for product liability for service providers and seeks to increase the pecuniary jurisdiction of consumer courts (for district commissions, up to 10 million rupees; for state commissions, from 10 million to 100 million rupees; and for the national commission, claims above 100 million rupees). Some examples of recent passenger-friendly consumer protection cases are as follows. In Air France v Dimple Bhambra Malhotra II  CPJ 393 (NC) the complainant travelled from Paris to London on Air France on flight AF1380 on 2 July 2010. On arrival at London, one of her pieces of baggage was found missing. Since her ticket was in the bag that had been lost or misplaced, she could not go on to Frankfurt and she returned to Paris. The bag was later on traced and returned to the complainant but according to her, a number of articles were found missing. The complainant approached the concerned District Forum seeking compensation to the extent of 402,860 rupees. The complaint was resisted by the airline, having first admitted the delay in delivery of one bag but submitted that liability was limited under the Carriage by Air Act, amounting to just 6,747 rupees. The District Forum, however, ruled in favour of the complainant, the airline then approached the concerned State Commission by way of an appeal, which was dismissed. The airline then filed a revision petition before the National Consumer Disputes Redressal Commission (NCDRC). It was held: ‘Therefore, even while giving the widest and most liberal interpretation to the provisions of the Consumer Protection Act, this Commission cannot act contrary to the provisions contained under Section 22 of the Carriage by Air Act and cannot exceed the limit statutorily prescribed therein.’ The impugned order was set aside and the petitioner’s liability was fixed at 6,747 rupees along with compensation in the form of interest at 9 per cent per annum, with effect from 2 July 2010 until the date on which a sum of 25,000 rupees was withdrawn by the complainant from the concerned State Commission. The complainant was directed to refund the balance amount to the appellant airline. In Air Arabia Airline v Ashok Kataria IV  CPJ 183 (NC) the complainant filed a complaint before the Maharashtra State Consumer Disputes Redressal Commission, Mumbai alleging that on landing at Sahar International Airport Mumbai, their luggage containing four bags was not loaded from Sharjah. The complainant developed severe chest pain, fluctuations in blood pressure resulting in unconsciousness and from the airport he was directly taken to Nanawati Hospital for further medical treatment and management. Ultimately, three out of four bags were located and handed over to the passenger. The fourth bag contained, among other important things, medicines and (allegedly) one Rolex watch with cash of 3,000 dirhams. As the complainant could not proceed to Cochin as planned, he was forced to undergo surgery at Bombay Hospital for which he allegedly spent around 400,000 rupees as against estimated amount of 150,000 rupees planned for surgery at Cochin. The airline admitted the loss of the fourth bag and offered to settle the claim at US$20 per kilogram, presuming total weight of the bag as 30kg, but the complainant refused the offer and eventually preferred a complaint claiming 4,732,324 rupees and interest at 18 per cent per annum from the date of the incident. The complaint was partly allowed and the appellant was directed to pay 67,724 rupees with 12 per cent per annum interest as cost of medicines and to-and-fro expenses, 200,000 rupees for mental agony and 50,000 rupees as cost of litigation. The airline then filed an appeal before the NCDRC. The NCDRC held that it was not disputed that one bag of the complainant was lost but the complainant had not disclosed that it contained medicines worth 63,924 rupees. The appeal was partly allowed holding that grant of cost of medicines of 63,924 rupees was reduced to US$640 (US$20 per kilogram for maximum permissible baggage of 32kg), compensation for mental stress and agony was reduced to 100,000 rupees, litigation costs were reduced to 20,000 rupees and the award of 3,800 rupees for to-and-fro expenses was affirmed. In British Airways v Kallol Basu II  CPJ 286 (NC) the complainant filed a complaint against the opposite parties before the Rajasthan State Commission on the ground that while deplaning from the appellant’s aircraft through a very old, wet, dilapidated, wobbly, unstable and malfunctioning staircase, provided by British Airways, he had a terrible and nasty fall entailing grave injury and instant and profuse bleeding through his nose. He was diagnosed with a serious case of intra-cranial subdural haematoma and could resume his duties only after eight days. The complaint was allowed and opposite parties 1 to 9 were directed to pay 2,241,560 rupees against which the instant appeal was preferred. The NCDRC partly allowed the appeal holding: ‘Perusal of record reveals that complainant claimed huge amount without any reasonable justification and learned State Commission allowed 21,91,560 rupees besides cost whereas as per my aforesaid observation, complainant is entitled to only 51,000 rupees and in such circumstances, complainant should be allowed to get only 5,000 rupees as cost of litigation instead of 50,000 rupees awarded by State Commission.’ The appellant was directed to pay 56,000 rupees against 2,241,560 rupees allowed by the State Commission within 30 days, failing which the amount would carry interest at 10 per cent per annum for the period of default. Spicejet Ltd v Ranju Aery I  CPJ 546 (NC), was a case that concerned a complainant who booked tickets for herself and her family members on the petitioner airline’s flights. However, the connecting flight was cancelled and it was alleged that the airline did not make any alternative arrangement. The complainant bought new tickets from another airline for her onward journey and filed a complaint before the district forum that was decided in her favour and the appeal to the state commission was dismissed causing the airline to file a revision petition before the NCDRC. The airline’s reasons for cancellation of the flight (‘due to operational and technical reasons, which were beyond the [airline’s] control’) did not go down well with the NCDRC which observed that ‘other flights were operating normally’. The airline was found to be deficient in service and the revision petition was dismissed upholding the decision of the district forum directing the airline to refund the amount of the new tickets after deducting the airfare for the cancelled flight, interest at 9 per cent per annum and 1.25 million rupees as compensation for harassment, and 10,000 rupees as litigation costs. In Micro Devices Inc v Airport Authority of India and another III  CPJ 594 (NC) the complainant had imported electronic components and the same were placed in the custody of the AAI pending customs clearance. One of the packages was found damaged and torn. Eventually a complaint was filed before the state commission claiming actual loss, business loss, loss of reputation, mental agony and interest. The state commission allowed the complaint partly leading the complainant to file an appeal before the NCDRC. It was held by the NCDRC that the finding of deficiency in service had become final and as the complainant had declared the value of the consignment prior to booking of goods, section 22(2) of the Carriage by Air Act of 1972 (relied upon by the respondents) was held to be not applicable. The order of the state commission was modified and the NCDRC allowed the appeal in part increasing the amount of compensation from 100,000 rupees to 299,959 rupees (actual loss) with interest at 9 per cent per annum from the date of filing the complaint till realisation and costs of 10,000 rupees. In April 2015, the NCDRC fined Lufthansa 2 million rupees for failing to keep its promise of providing flat-bed seats to a particular business-class passenger. The NCDRC held Lufthansa responsible for indulging in ‘unfair trade practices’, asking the German airline to refund the flight ticket cost to the complainant, who said he was only given a ‘semi-reclined seat’ instead of a ‘lie-flat seat’ as promised. Lufthansa has filed an appeal in the Supreme Court of India, which is still pending. CAR dated 1 March 1994 (revised on 6 December 2017), provides in clause 10.12 that an operator shall maintain current insurance for an amount adequate to cover its liability towards passengers and their baggage, crew, cargo, hull loss and third-party risks in compliance with the requirements of the Carriage by Air Act of 1972, or any other applicable law. CAR dated 1 June 2010 under section 3, Air Transport (series C, Part III, issue II) lists the minimum requirements for the grant of a permit to operate non-scheduled air transport services and clause 10.10 thereof provides for insurance requirements on similar lines as clause 10.12 mentioned above. The CAR dated 26 August 1997 (revised on 25 January 2017) under section 3 - Air Transport (series C, Part IV) lists the minimum requirements for the grant of permit and operation of air transport cargo services. The said CAR, in clause 4.3, provides that the application for the grant of an Air Cargo Operator’s Permit shall be accompanied by a current comprehensive insurance policy covering the aircraft, crew, cargo and third-party risks in accordance with the requirements. Clause 7.5 thereof provides that the operator shall maintain a current and adequate insurance coverage for liability in compliance with the requirements of the Carriage by Air Act of 1972. Section 5A of the Aircraft Act of 1934 provides that the DGCA or any other officer specially empowered by the central government, may issue directions, etc, in any case where the DGCA or such other officer is satisfied that it is necessary to do so in the interest of the security of India or for securing the safety of aircraft operations. The central government has created the Aircraft (Security) Rules of 2011, dealing with security measures at aerodromes; pre-embarkation security checks; security measures by aircraft operators; and security accidents and incidents. Aviation security comes under the purview of the Bureau of Civil Aviation Security (BCAS), which issues AVSEC orders and circulars. It lays down aviation security standards in accordance with Annex 17 to the Chicago Convention of the ICAO for airport operators, airline operators and their security agencies responsible for implementing AVSEC measures. The BCAS monitors implementation of security rules and regulations and carries out surveys of security needs; it ensures that persons implementing security controls are appropriately trained and possess all competencies required to perform their duties; it plans and coordinates aviation security matters; and conducts surprise or dummy checks to test professional efficiency and the alertness of security staff as well as mock exercises to test the efficacy of contingency plans and operational preparedness of the various agencies. The BCAS has prepared a national civil aviation security programme for airport operators, airline operators and their security agencies. The Commissioner of Security of the BCAS is responsible for the development, implementation and maintenance of the National Civil Aviation Security Programme. The National Civil Aviation Policy of 2016 covers Aviation Security, Immigration and Customs in paragraph 15(a)-(j). In this policy document it was proposed that the DGCA be given administrative and financial autonomy for an effective aviation safety oversight system, but it has yet to be implemented. The BCAS has initiated necessary steps to make amendments in the Aircraft (Security) Rules of 2011. The draft rules for this purpose (ie, the Aircraft (Security) Amendment Rules of 2017) have been published in the Gazette of India, in accordance with requirements of section 14 of the Aircraft Act of 1934, to invite comments and suggestions. Crimes with regard to aviation (hijacking, acts of unlawful interference, committing an act of violence on board an aircraft in flight, etc) are provided for in the Anti-Hijacking Act of 2016 and the Suppression of Unlawful Acts against Safety of Civil Aviation Act of 1982 along with the Suppression of Unlawful Acts against Safety of Civil Aviation (Amendment) Act of 1994. The Anti-Hijacking Act of 2016 (in section 4) provides for the punishment of death if a hostage or security person or a person not connected with the offence dies and in other cases, with imprisonment for life and with a fine, and the movable and immovable property of such person is also liable to be confiscated. The Code of Criminal Procedure of 1973 has been made applicable to the extent provided for therein. Other crimes include human and drug trafficking, inappropriate behaviour on board an aircraft, carrying prohibited goods, etc, for which the general criminal laws apply. Some provisions to regulate conduct on board an aircraft also exist in the Aircraft Rules which, read with Schedule VI, provide for punishments that include imprisonment. India is currently considered the third-largest domestic civil aviation market in the world. India’s passenger (international and domestic) traffic grew 16.52 per cent year on year to reach 308.75 million. In the financial year 2018, domestic freight traffic stood at 1,213.06 million tonnes, while international freight traffic was at 2,143.97 million tonnes. As of March 2018, there are nearly 550 commercial aircraft in operation in India. According to data released by the Department of Industrial Policy and Promotion, FDI inflows in air transport (including air freight) between April 2000 and December 2017 stood at US$1,608.51 million. The government has allowed 100 per cent FDI under the automatic route in scheduled air transport services, regional air transport services and domestic scheduled passenger airlines. However, FDI over 49 per cent requires government approval. In mid-July 2018, Jet Airways signed a formal agreement with Boeing to acquire an additional 75 of the latest single-aisle 737 Max aircraft valued at US$8.8 billion at current list prices, but more recently Jet Airways has been in the news on account of its continuing and increasing losses. Recently Vistara, the joint venture between Tata Sons and Singapore Airlines, became eligible to fly overseas following the induction of the 21st aircraft into its fleet. The airline has announced its biggest deal with aerospace majors Airbus and Boeing - a US$3.1 billion purchase of 13 A320 neo aircraft and six B787-9 Dreamliners. With the purchase order in place, Vistara aims to start international operations in 2018, starting with short-haul international routes. In June 2018, India signed an Open Skies agreement with Australia, allowing airlines on either side to offer unlimited seats to six Indian metro cities and various Australian cities. In February 2018, construction of the Navi Mumbai airport began. This airport, located beyond the existing single-runway Mumbai airports, is expected to be built at a cost of US$ 2.58 billion. The first phase of the airport will be completed by the end of 2019.